Viking Overhead carries a very liberal supply of brand specific and universal remotes and keypads. If we dont have what your looking for on our trucks then we can get it! Garage door remotes are often thought to be universal for all garage door openers. 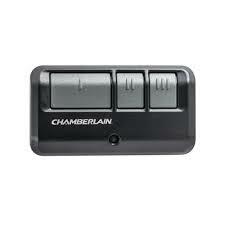 Although there are a few models that are universal to most, none of which are universal for all garage door openers. It is common every 5-10 years for different manufactures to switch frequency on their radio equipment. After several years and models and frequencies, programming can become more and more difficult. Sometime the programming it self can be fairly easy however choosing and knowing exactly which remote fits your garage door opener is more of the challenge. Liftmaster for example has garage door openers that have looked the same for many years so you would think the remotes would all be the same and that is not the case. If you purchase a universal 2 button remote either the “clicker”, “chamberlain”, or “Liftmaster” you chances of that working for any genie, overhead, Liftmaster, Chamberlain, Craftsman, Sears, and Linear are pretty good. There are a few brands however that are becoming more popular and don’t work with standard universal equipment from big box stores. Guardian and Marantec are 2 that come to mind that will not program to your standard universal remote and you must purchase their brand specific equipment. Programming garage door opener electronic components can be complicated for the average homeowner, that’s why at Viking Overhead, our garage door technicians are certified to program garage door openers and devices in a snap. When operating your garage door electronic devices, you may experience malfunctions, or loss of garage door opener programming due to operator error. But most commonly, many homeowners acquire new electronic devices that require programming for their existing or new garage door opener. When programming garage door openers, it is important to note that not all garage door openers and electronic devices are programmed the same way in sequence or functionality. Garage door remote programming for older models may require correctly matching a sequence of dip switches, located in the motor head of your garage door opener, and in the device the homeowner wishes to program. Few remotes, for example have dip switches which may be required to program an aged garage door opener. Viking Overhead carries universal garage door opener remotes that have the ability to program with almost any garage door opener. 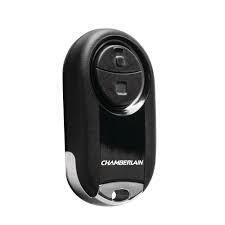 Security gates can also be programmed with the use of a universal garage door remote. When it comes to electronic devices, compatibility is key to programming garage door openers. Programming a garage door remote is only one area of expertise Viking Overhead is able to facilitate for our customers. 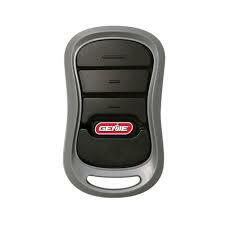 Garage door opener keypads are another device that can be tricky to program with your garage door opener. Like a garage door opener remote, garage door opener keypads must be compatible with your garage door opener in order to program garage door keypad properly. 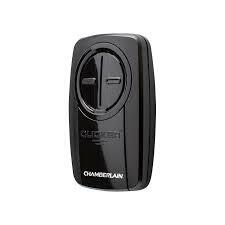 Wireless garage door opener keypads operate the same as any other wireless electronic device compatible with your garage door opener; by sending an electronic signal that your garage door opener can read and recognize as a command. Garage door opener keypads are manufactured in many makes and models, and our garage door technicians are well-educated when it comes to compatibility and technical proficiency when programming your garage door opener. The garage door opener industry has also successfully manufactured universal garage door opener keypads, also compatible with nearly every brand, make and model of garage door opener. With the purchase of a new vehicle in the modern age, many options are available–especially with the ever increasing acceleration of technology. Many car manufactures are equipping vehicles with state of the art automation for the convenience of built-in garage door opener remotes. The two most common types of built-in garage door remotes are Homelink and Car2U. Unfortunately however these electronic devices are not always compatible for programming garage door openers without an added repeater device depending on the year, make, and model of your vehicle. Our technicians will be able asses whether or not the devices are compatible and will program garage door openers as necessary. Homelink and Car2U devices are programmed differently in terms of sequence and require a general working knowledge in order to effectively program garage door openers. But no matter the situation, or myriad of devices a homeowner may have, Viking Overhead technicians can program any garage door opener device, or offer options for new devices that would otherwise be incompatible.